Constellation Web Solutions, Inc., a provider of innovative online technology and marketing solutions for real estate brokerages, has purchased the Relocation Services software from Professional Software Services, LLC. ReloSpec fits with our strong history and track record for providing enterprise-grade solutions to help real estate brokers build and manage their businesses. Constellation Web Solutions, Inc. (CWS), a provider of innovative online technology and marketing solutions for real estate brokerages, today announced that it has purchased the Relocation Specialist software from Professional Software Services, LLC. Originally released in 2001, Relocation Specialist (known generally as "ReloSpec") provides relocation software solutions to many of the largest real estate brokerages and relocation service providers. ReloSpec provides easy-to-implement technology to help real estate professionals manage inbound and outbound referrals. This acquisition further expands CWS’s presence in providing powerful lead management tools for real estate brokers and their agents. “We believe our respective products are complementary and provide our customers and staff with increased choice and opportunity. 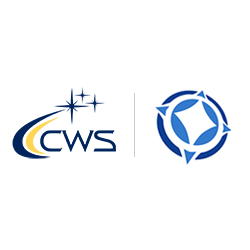 We are pleased to be part of CWS and look forward to working with them to serve our customers,” said James Evans, President and Founder of ReloSpec. Constellation Web Solutions, Inc. provides industry-leading websites, mobile technologies, interactive voice response systems, and home builder marketing services to the real estate industry. We work with our customers to define strategies and implement innovative ways to grow their businesses by combining strategy, technology, and marketing to provide the best real estate websites available. Constellation Web Solutions is a part of the Constellation Real Estate Group with well-known brands that provide a suite of market-leading software products, designed specifically for the real estate industry. The Constellation Real Estate Group includes ReloSpec, Constellation Web Solutions, Market Leader, Zurple, Z57, Sharper Agent, Diverse Solutions, and Birdview. Over 300,000 Real Estate Agents and hundreds of Real Estate Brokerages across North America and Canada rely on our products to make their business more successful.